Make sure you have activated the add-on/plugin. 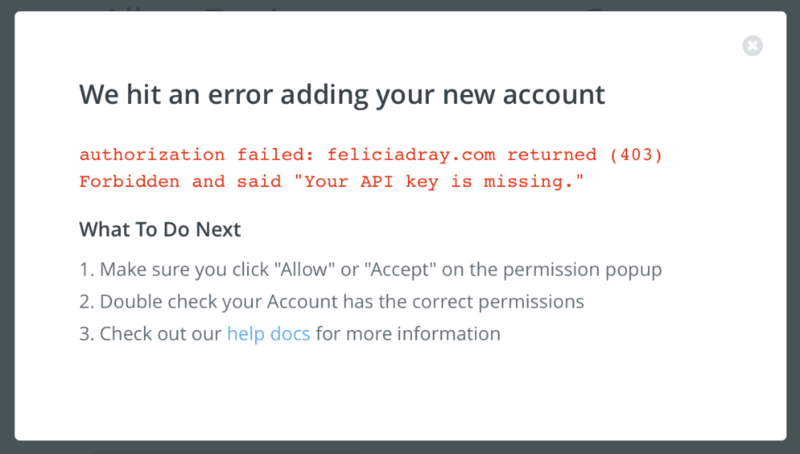 authorization failed: Your API key is missing. All Else Fails? Authenticate via the URL and a Filter. 1) Add the API Key to the end of the url.